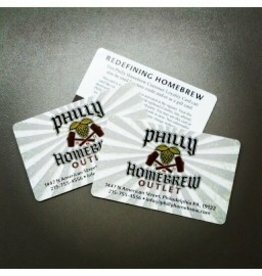 Not sure what to buy that special homebrewer in your life? Let them choose by picking up one of our gift cards. Each gift card will be shipped out within 48 hours of purchase, so please be sure to fill out the appropriate shipping information.